Tanja is a partner in the banking and capital markets team of Osborne Clarke Germany (Cologne). A main focus of her work is on banking regulation – in particular payment processing and other payment regulation for payment service providers and other companies. Regarding capital markets she specialised in structuring of alternative investment funds (AIF) and other investment products – in particular closed-end investment funds, participation rights and Crowdfunding. 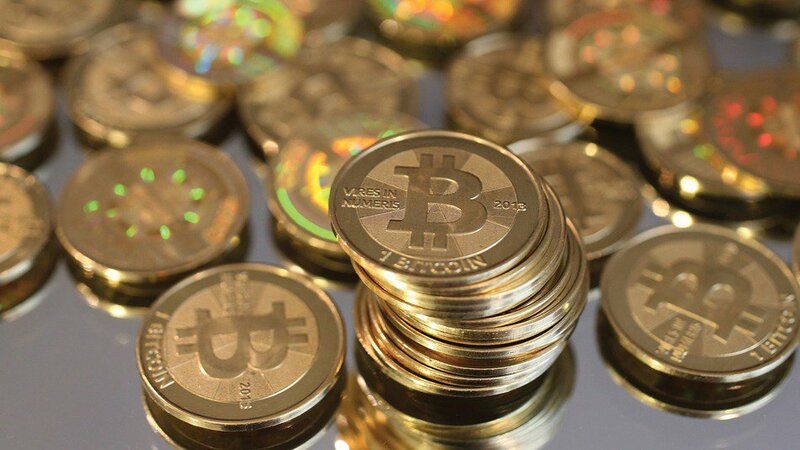 Bitcoins continue to keep supervisory authorities, businesses and users as well as speculators busy. On 19 December 2013 the German Federal Financial Supervisory Authority (BaFin) published its input to the vivid discussion on how Bitcoins are presently regulated in Germany. BaFin puts some points in concrete terms (especially trading with Bitcoins) and confirms some preceding views of the German Ministry of Finance and BaFin itself described in our prior article dated 27 November 2013 (only available in German). This environment in mind, BaFin conducted a supervisory and legal evaluation, taking into account also the risks inherent with the trading of Bitcoins, which resulted in a so called “expert article” in December 2013 (“Bitcoins: Aufsichtliche Bewertung und Risiken für Nutzer”, Bitcoins: Supervisory evaluation and risks for users of 19 December 2013 – “expert article”). Bitcoins are neither currency or legal tender nor e-money in the meaning of the German Payment Services Supervision Act (Zahlungsdiensteaufsichtsgesetz). Furthermore, BaFin affirms its point of view, set out in a Guidance Notice on the Payment Services Supervision Act of December 2011 and described in our article of 27 November 2013 that the mere generation and the use of Bitcoins as a “substitute currency”, i. e. payment and “mining” are not regulated activities and, therefore, do not trigger any license requirement. However, if purchasing or selling of Bitcoins for others is provided on a commercial scale, a license under the German Banking Act (Kreditwesengesetz) is required. According to BaFin, the same conditions apply for so called mining pools. In these mining pools computers of many “miners” work together to generate Bitcoins by solving the increasingly complex mathematical tasks (complexity rises parallel to the total amount of Bitcoins). According to BaFin, as a rule, commercial trading of Bitcoins is regulated. In particular, the following four regulated activities under the German Banking Act (Kreditwesengesetz) must be considered. In every individual case the business model must be examined in order to determine the applicable regulation. Secondly, according to BaFin, the regulation of Multilateral Trading Systems (MTFs) can be applicable to Bitcoin trading platforms. MTFs bring together a large number of persons’ interests in the purchase and sale of financial instruments (such as Bitcoins) within the system according to set rules in a way that leads to a purchase agreement for these financial instruments. As a general rule, Bitcoin trading platforms can fall under this definition and therefore need a BaFin-license as a financial services institution. This is the case if providers offer Bitcoins on the trading platforms and lay down a specific price. If this price is met or exceeded by another participant, the trade comes into effect automatically. In Germany MTFs are regulated under the German Banking Act (Kreditwesengesetz) and the German Securities Trading Act (Wertpapierhandelsgesetz). The German Banking Act (Kreditwesengesetz) stipulates a license requirement for the operator of a MTF. The German Securities Trading Act (Wertpapierhandelsgesetz) contains compliance requirements for the operation of the MTF. In particular, providers of MTFs must ensure that retail investors are excluded from the platform. The requirement to exclude retail investors would make Bitcoin-MTF impossible as their services are – typically – directed at the public, including in particular retail investors. However, we think that there are good arguments the Securities Trading Act (Wertpapierhandelsgesetz) is not applicable to Bitcoin-MTF. This is due to a deviation between the definition of a financial instrument in the Banking Act (Kreditwesengesetz) and in the Securities Trading Act (Wertpapierhandelsgesetz). While the definition in the Banking Act (Kreditwesengesetz) explicitly includes units of account (Rechnungseinheiten) they are not included in the definition of the Securities Trading Act (Wertpapierhandelsgesetz). As a result, Bitcoin trading platforms structured as a MTF would only require a license as a financial services institution under the Banking Act (Kreditwesengesetz) but would not have to exclude retail investors. Still, BaFin has not commented on this subject yet and did not mention it in its recent statement. However, we believe that it is evident that the application of the requirements of the Securities Trading Act (Wertpapierhandelsgesetz) to Bitcoin-MTF would equal a statutory prohibition of such structures. BaFin considers that the sole publication of lists of Bitcoin traders – whether online or offline – constitutes investment and contract broking (Anlage- und Abschlussvermittlung) that requires a license under the Banking Act (Kreditwesengesetz) or under the German Trade, Commerce and Industry Regulation Act (Gewerbeordnung) – which is a relatively straightforward matter. This extensive interpretation of “broking” will certainly provoke criticism as the simple publication of lists could also be qualified as a non-regulated activity. Finally, providing purchase and sale of Bitcoins as a service for others is proprietary trading (Eigenhandel) and therefore a financial service. According to BaFin, especially Bitcoin exchange offices meet these requirements. As a bottom line, it can be concluded that BaFin uses its statement to inform the Bitcoin-industry that it considers the commercial trading of Bitcoins to be a regulated activity. Only the kind of regulation and the requirements in detail depend on the individual structure of the trading platform. Furthermore, BaFin follows the present trend of European supervisory authorities to warn about the risks when dealing with Bitcoins. Firstly, BaFin points out that Bitcoins could get lost or stolen, when a malfunction of the user’s computer occurs or hackers attack. However, the same risks threaten legal tenders, e-money or any other objects of value, whether physical or digital. According to BaFin, it is likely that low transaction costs – one reason for the increasing popularity of Bitcoins – will rise, because the generation of Bitcoins through computers is going to become more and more complex. BaFin assumes that costs will align with the common banking costs, due to the growing demand for heavier hardware and electricity. Here, BaFin addresses an important issue. As a fact, transactions in Bitcoins may slow down because of increased transaction costs. Some users – especially speculators – might get deterred and prices for Bitcoins could cool down and become steady. As a result, Bitcoins would become more mature. They could evolve from a gambling tool to a “real” alternative currency. As a conclusion, the risks emphasized by BaFin can turn out into a big chance for Bitcoins. On the other hand, BaFin warns that Bitcoins could be subject to extreme fluctuations in the price. This could attract speculators and holders of high amounts of Bitcoins to gamble and imply high losses for normal Bitcoin users. Although such development cannot be excluded for us, the aforementioned scenario is much more realistic. BaFin further clarifies the regulatory situation of Bitcoins in Germany and gives the Bitcoin-industry a warning that the commercial trading of Bitcoins is regulated in Germany – one way or the other. Although BaFin considers Bitcoins as a risky financial investment and warns users to deal with them, the fact that BaFin decided to publish an expert article at all underlines the growing importance of Bitcoins. Bitcoins are now of such relevance that BaFin can no longer ignore them. Still, one main question remains – if BaFin will follow our approach and except Bitcoin-MTF from the requirement to exclude retail investors. Therefore, one thing is certain: Bitcoins will continue to be subject to discussions of legislators and supervisory authorities around the world – we will keep you posted.